If you are looking for a design that showcases the vintage look, this is a perfect example. 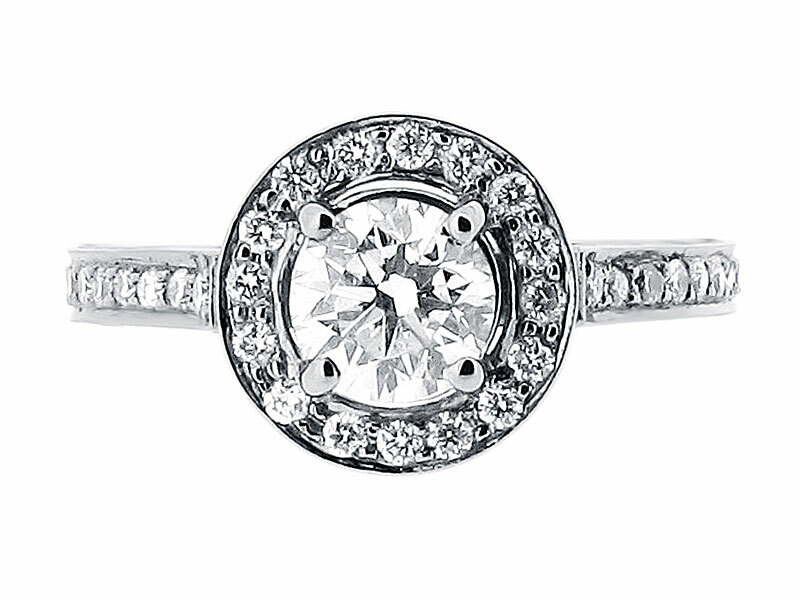 The round brilliant cut diamond centre stone is enveloped by a pave set diamond halo. Pave set diamonds continue down the shoulders and walls of the band. 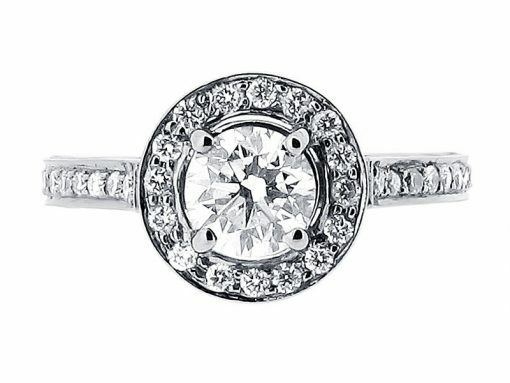 Voltaire Diamonds can custom make this ring for you starting from approximately €2,250 and will advise you on the quality of stones. 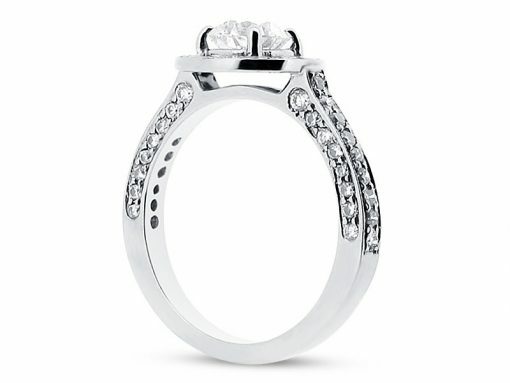 This is a wedfit style, meaning that a straight wedding ring will sit flush against this ring. 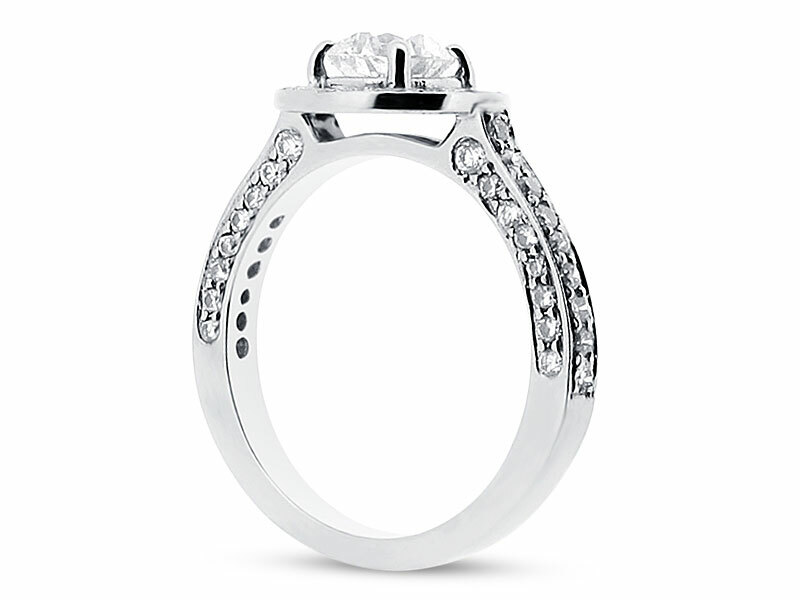 Do you love the shape but you prefer emerald cut diamonds? Or perhaps a different gemstone? We are delighted to discuss your ideas and quote for bespoke styles.